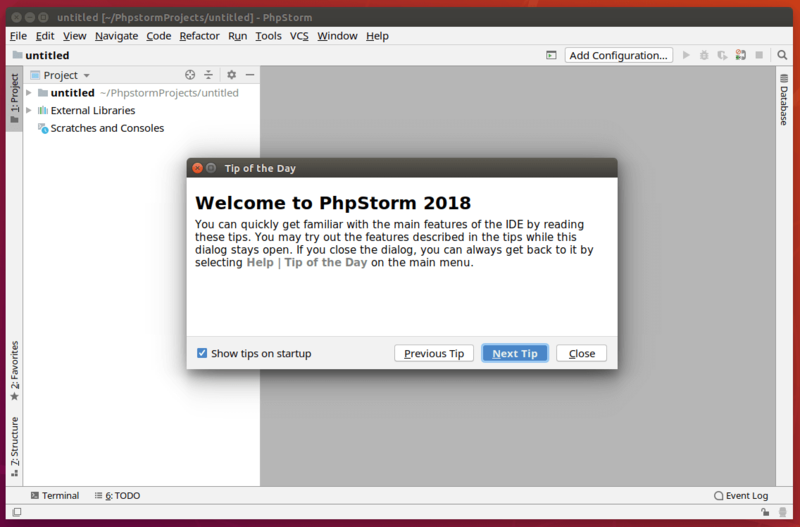 This tutorial is going to show you 2 ways to install PhpStorm on Ubuntu 18.04 and Ubuntu 18.10. PhpStorm is a PHP IDE (Integrated Development Environment) for working with Symfony, Drupal, WordPress, Zend Framework, Laravel, Magento, Joomla!, CakePHP, Yii. It’s a commercial (with 30-day free trial), cross-platform IDE developed by JetBrains and written in Java programming language. PhpStorm 2018.3 also introduces support for GitHub Pull Requests, Git submodules, and more VCS improvements, a new Search Everywhere dialog, multiline TODOs, and a new high-contrast theme. The Database tools in PhpStorm come with Cassandra support, new intentions and code completion enhancements, support for extensions in PostgreSQL, and more. 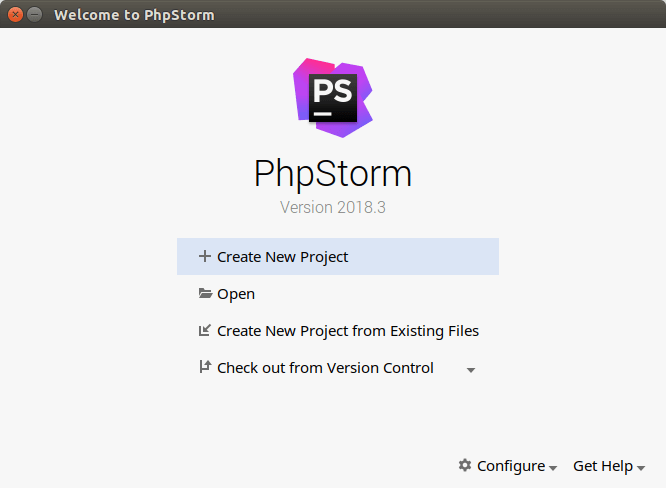 For more details, please see what’s new in PhpStorm 2018.3 on the official website. Note that the --classic option puts the snap package in classic mode and disable security confinement. This basically means the PhpStorm snap has full access to the system, like a traditionally packaged application. 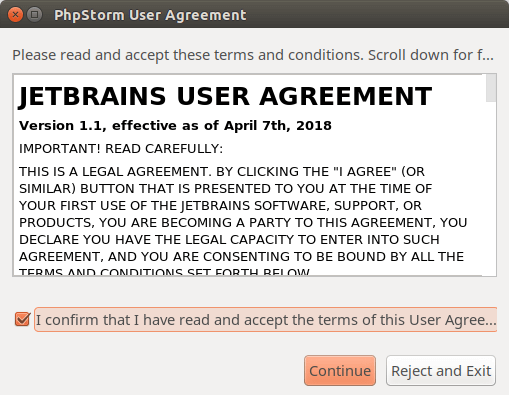 This snap package is from JetBrains, not from a third-party, as indicated by the green check. 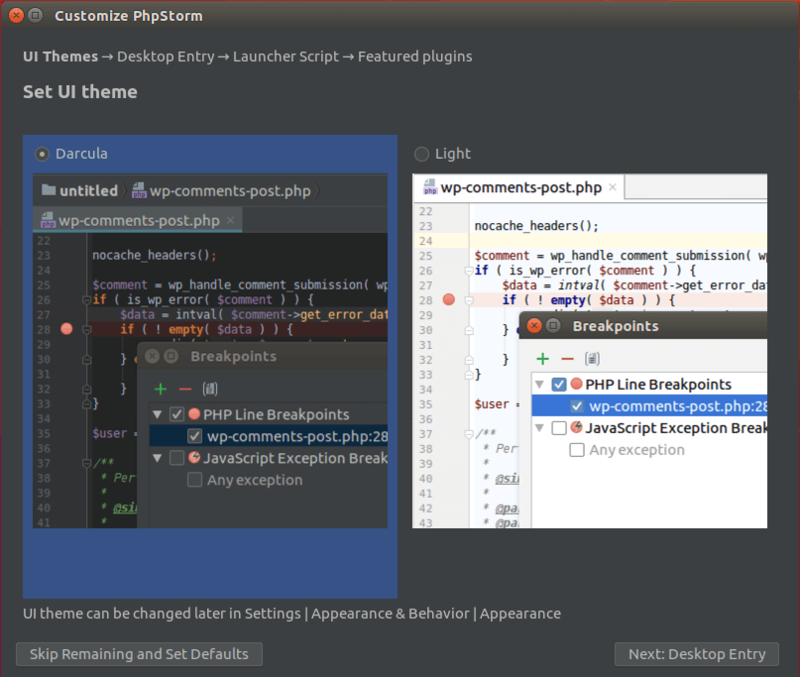 Snap packages update automatically, so your PhpStorm installation will always be up-to-date. Once the installation is complete, you can start PhpStorm from the application menu, or by running the following command in terminal. JRE (Java runtime environment) 1.8 is bundled with the PhpStorm distribution, so you don’t have to install Java to run PhpStorm. Go the official website and download the tar archive. If you prefer command line, you can always use the following wget command to download. 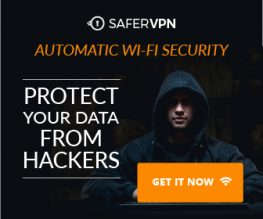 The latest version is 2018.3 at the time of this writing. You need to change the version number if a new version comes out. Once downloaded, extract the .tar.gz file to /opt/ directory, which is used to store third-party applications on Unix/Linux systems. The first time you run PhpStorm, you need to select a few options. 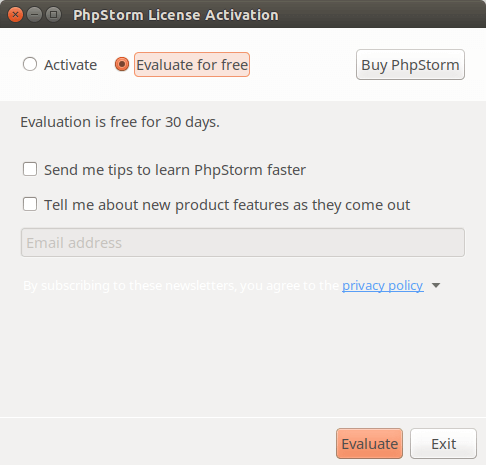 If you are new to PhpStorm, select the second option and hit the OK button. Read and agree the user agreement. Next, you can choose whether you want to send usage data or not. 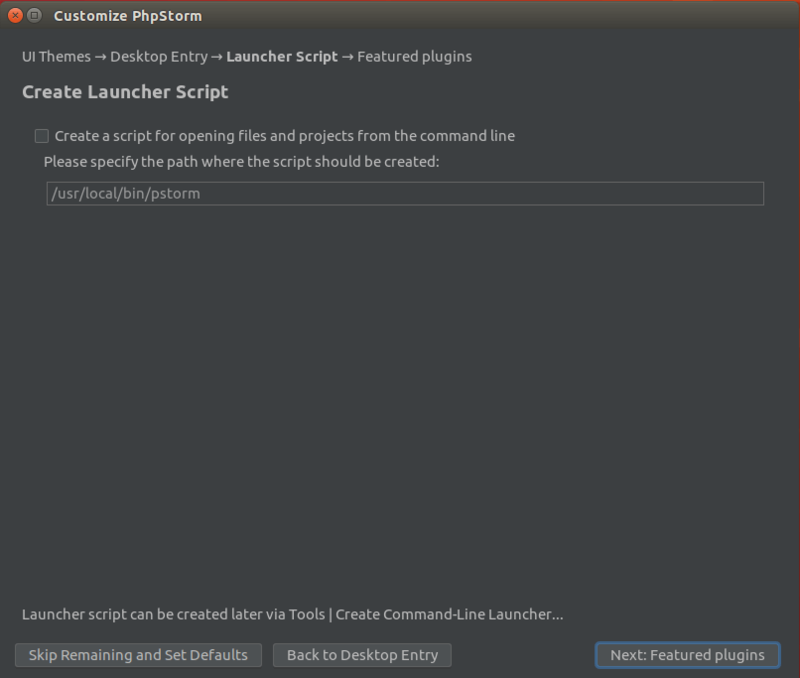 Create a desktop entry so next time you can click on an icon to start PhpStorm. Then, select Evaluate for free if you are a new user and click the Evaluate button. 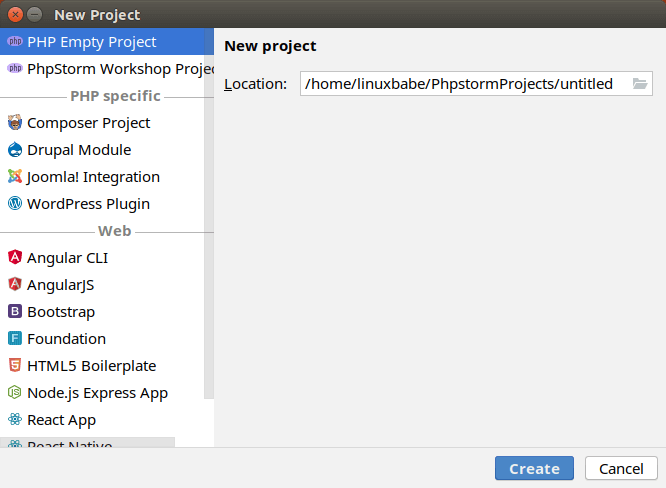 Now you can create a new project and start using Phpstorm. If for any reason you want to uninstall PhpStorm, simply delete /opt/phpstorm/ directory and all subdirectories and files in it. To remove the PhpStorm Snap package, run the following command.